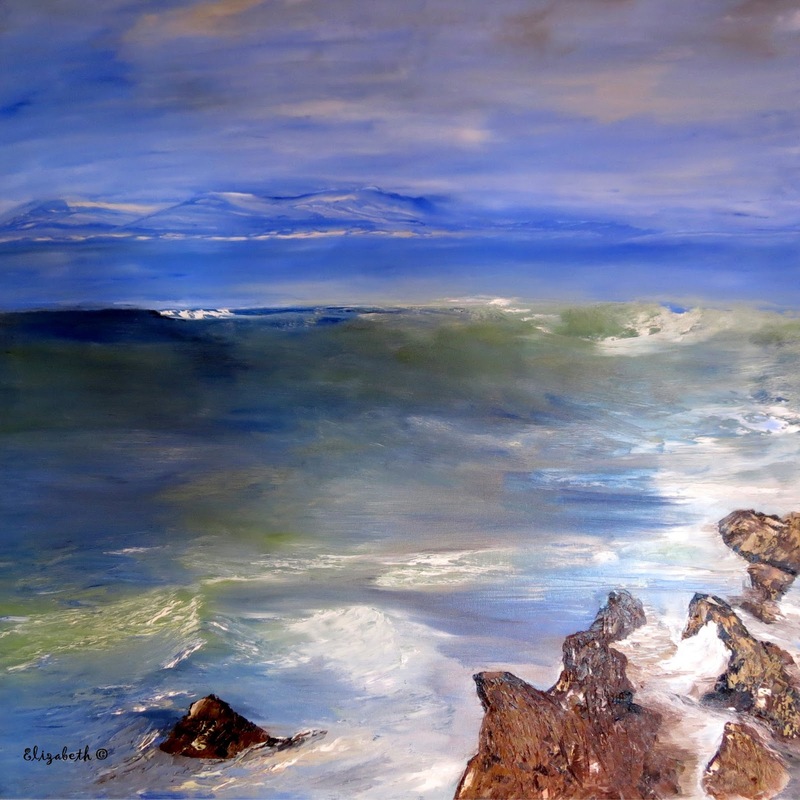 My latest painting: The Ocean....One of these days I will enjoy a wonderful privilege and opportunity to exhibit my art in Brooklyn Theatre in Pretoria, South Africa. The exhibition will be from the 21 August until the 1st of October 2014. I realise that this is such a blessing and I thank God for the talent He gave me to enjoy my passion everyday! I used a palette knife, sponge and brush to create this painting. Oil on blocked, stretched canvas 380g, 100% cotton, solid wood construction, back staple finishing. 36 × 36 ".